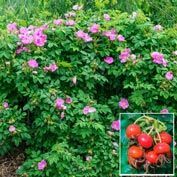 Sweet Hips Rose | Gurney's Seed & Nursery Co. 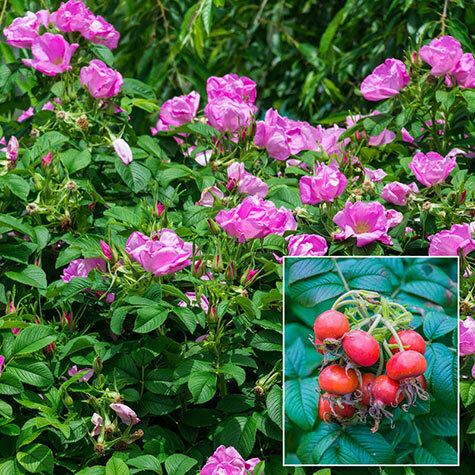 Comments: An improvement on traditional Rosa Rugosa-types with a nicely mounded 4- to 6-feet tall, 6-foot spread, this hardy, tough, disease-resistant plant is basically a no-care perennial shrub. 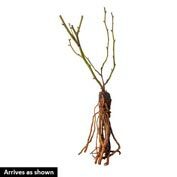 Boasting TONS of larger-than-normal, single, bright-pink blooms in early summer with a repeat bloom in late summer/early fall, its hips are very attractive as well as much sweeter and more flavorful. 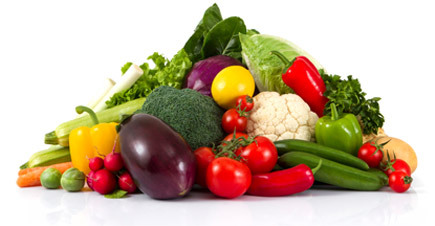 Hips can be harvested any time after they have colored and can be eaten fresh, frozen and dried.